Romans 5:5 (NLT) – And this hope will not lead to disappointment. For we know how dearly God loves us, because he has given us the Holy Spirit to fill our hearts with his love. “We are glad you are here today as we enter the Advent Season. Advent means “to come” and it speaks of the longing God’s people have for Christ to be present. In the Old Testament, our forefathers looked for the coming Messiah. He came in the person of Jesus. Since His ascension into heaven, we look for His return. But waiting is easier said than done. It is hard to hope for something that is unseen. In anticipation, we light a candle and there’s no magic in that. It is simply a sign, an indicator, a visual help to let us know that the light of the world will return. “But, if you are like me, it is hard to hope with joy and confidence. The future is an unknown, and the wait is long. We may not see much light, and when there is little light, it is dark and perhaps even scary. That can lead to despair. “Having said that, today we want to proclaim what we know to be true, even though it is hard to believe and put into practice: we are those who have hope. We did not but it or earn it. It has been implanted in us. It is a seed buried in our souls that flourishes as we read, pray, sing and think about the coming of our Lord Jesus Christ. Today, we long for you to be filled with hope. The prophets said He would come, and He did. They also said (and we say) He will come again! So, we worship today as men and women with hope. We aspire to live as men and women with hope. It is a hope that is not dependent on our circumstances, our relationships, our money or anything else. It is a hope that is built on nothing less than Jesus’ past, present and future work, and a hope that is built on His blood and righteousness. “Will you choose to hope with us? You see, hope is something that is felt, but unseen. If it is seen, it is not hope, but reality. Until it becomes seen to us, it remains hope – God’s gift to drive us onward to the coming Light! TODAY’S PRAYER: Lord, fill us with the hope that originates in You and Your promises. Keep us from wasting away in the desert of hopelessness as if we were not Your children! In Jesus’ name, Amen. We’re very familiar with these verses that form part of Paul’s great exultation at the beginning of the letter to Ephesus. 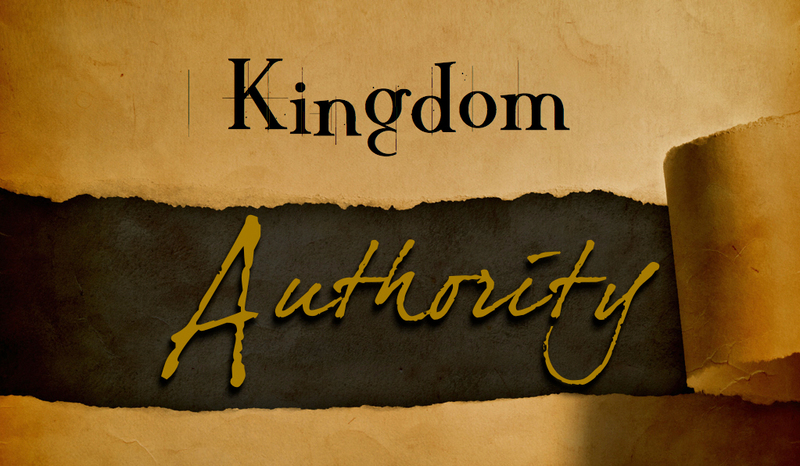 We get excited when we read about Christ’s great power and authority. It’s good to know that He’s on OUR side!!!! The fact that he has such power is comforting and encouraging to us as we struggle through things in this life. We, of course, are the church. That means that God gave Christ that authority for our benefit. Christ has already won the ultimate battle against Satan and death. Judgment has been decreed…all that now awaits is the execution of that ruling by the Almighty God. The question, however, is how well are we doing at applying the power of the Risen Christ (to whom God has given all authority in this world and the one to come) to our lives and to the society in which we live? You might argue that it is Jesus who has that power, not us…and that’s very, very true. But you don’t have to look far in Scripture to see that we have been given “all things” that enable us to live lives of godliness and power. After all – it’s not just us – but Jesus who lives within us! So, we must not become passive. We must engage. We are invaders in the kingdom of the enemy. We are here to do a job that we don’t have the power to pull off – but He does. We must begin to learn to wield the victory that Christ has already won. We must learn how to enforce it, not shrink from the enemy in fear. In Judges 3, God explains that He didn’t drive out all the inhabitants of the Promised Land for one reason: he left some to test the Israelites who had not had previous battle experience (3:2). Do you see? Much of what He allows in our lives is not for us to simply accept, but to get us to rise up, to teach us how to fight for the Promised Land. God wants us to know how to wield the weapons and power necessary to take a stand and to fight! Copyright 2005 by Galen C. Dalrymple. TODAY’S PRAYER: God, let us be warriors for You, surrounded and empowered by the unlimited power of Jesus Christ. Through His strength, let us reclaim this lost world for You! In Jesus’ name, Amen. Mark 8:34 – If any man would come after me, let him deny himself and take up his cross and follow me. What picture comes to you mind when you think of carrying your cross and following Jesus? I usually think of the pathway up the hill to Calvary. My mind goes immediately to the concept of carrying my cross to a martyrdom. It’s probably only natural that it should seem that way, since the cross was a sign of death – much like a gallows or a guillotine would be in our age. But we should also contemplate that Christ not only died a cross-death, but he lived a cross-life. If the cross is considered as a symbol of sacrifice, Christ most surely lived a cross-life, a life of sacrifice from before He came to earth until He returned to heaven. He came not to be served to but serve all humanity. Perhaps never did he demonstrate the cross-life more than when he took the towel and basin to the feet of his disciples. Do you think for a single moment that Jesus couldn’t have called down ten million angels to free him from the grips of the guards who arrested him and led him to trial? But he didn’t. Why? Because he was as committed to living the cross-life as well as enduring the cross-death. When you look at the passage in Mark closely, it’s clear that Jesus isn’t really talking about denying ourselves in martyrdom. That could be part of it, of course, but the invitation is to “follow him.” Dead people can’t follow – only living people can follow him. What he calls us to is to live the cross-life as he did. How are you going to emulate the cross-life of Christ today? TODAY’S PRAYER: Father, today many things are going to seek our attention. Most of those things, Lord, will not help us focus on you. Lord, while we pray for the faith to die for the testimony of Christ, give us the courage this day and every day to live for Him! In Jesus’ name, Amen. Thanksgiving is just a couple of days away. It marks the beginning of the big holiday season. Already you can do Black Friday shopping, people are planning travel and gathering with families for food and fun. It’s a big deal here in the United States…even if we have largely forgotten that it was set aside as a day to thank You. “Over the last few weeks we have noted in the news that sin entered the world. We did not need the reminder, did we? We also noted that death entered the world. We did not need a reminder about that either, did we? Both sin and death seem to be rampant, unrestricted and capricious. Every day we hear of people suffering, people committing acts of atrocity and people dying. It is on the front screen of our radar. It seems to be the big news and the big event. “So, no reminder needed. What we do need a reminder of, in fact a ‘double reminder of’ is this: Jesus entered the world. Yes, sin is present; yes, death takes its toll, but Jesus came, too. He came to deal with the penalty and power of sin, and He came to overcome death. He did that. So, in some sense if we are looking at an equation, it looks like this: Death + Sin < Jesus. “However, we are confronted daily with sin and death. “As we approach Thanksgiving, we want to remember that He came, but here is the even better news. Here is the reminder we need: He will come again. And when he does, sin and death will be no more. I don’t know exactly what the equation for that looks like. Perhaps it will look something like: Jesus’ second coming = Sin and death. You see, sin and death make one appearance in the story, one. Jesus makes two. That is not just twice as good, it is infinity better. We need to be reminded that He came, and He will come again. That is the next big event on our calendar. “Now here is the real kicker in this mathematical model. When He came, He left, but sent the Holy Spirit, who is God. Maybe that equation is Ascended Jesus —> power of the Holy Spirit. The Holy Spirit is present with us in the midst of suffering, and He enables us to not just bear it, but to believe in the goodness of God the Father. PRAYER: Father, we get so wrapped up in the news and stories about our world and in our sin and overwhelmed by death and violence that seems to grow ever closer to our own doorstep. Help us to remember what is truly the next BIG event…and hasten that day when we shall see Him, our risen Lord, coming back for us! In Jesus’ name, Amen. We have all witnessed and imagined fear lately with the attacks in Paris, the debate about migrants fleeing war in their own countries and pledges from terrorists to attack our cities in America. How did people respond to such fears as they were inside the theater in Paris? Some (understandably!) fled for their lives. I heard that one young woman, standing in a line to be shot, threw something at the terrorist who was point a gun at her – and then he did, in fact, shoot and kill her. That, too, was dealing with fear. If I were to ask you what your greatest fear is, you might say something like: “dying”, or “getting cancer”. Fear can cripple and disfigure us in many ways. While I don’t want to oversimplify facing your greatest fear and trivialize it in any way, there is a situation in scripture where a man, Jairus, encountered what for most of us would be the greatest fear: the loss of a child to death. If I’d been Jairus, I think I would have said: “Believe what, Jesus? She’s dead! Don’t you get it!? She’s gone…and she was only 12! Maybe, just maybe, if you hadn’t delayed with this woman, my baby girl would still be alive!” Bold words I’d have spoken in my heart, if not with my lips. But Jesus isn’t deterred. Death is no big thing to you when you are the Son of God. He allows only Peter, James and John to continue the trip with he and Jairus. They reach the house and he raises the child. FIRST: look at his promises, his declaration of love unending for you. Ask yourself this question: has he EVER failed in all of recorded history to keep even one of his promises? Has he EVER told a lie? Is there ANY reason now to believe he would be telling you a lie when he says that all things work for good to those who love the Lord and the promise of His appearing? I cannot begin to tell you how some things will “work for good”. No human being can, so I won’t even venture a guess. But the question here is: Is he worthy of belief? The answer: he has a spotless track record. SECOND: given the past evidence, is he likely to ever fail to keep his promise to YOU? THIRD: consider whether or not Jesus is capable of keeping his promise – you know he is! It is one thing to make promises you don’t have the capability of keeping – but being God, Jesus has the power to make any and every promise come true. FINALLY: ponder whether or not Jesus is willing to keep his promises – and remember that God’s will is immutable. His will is going to be done and it will be done perfectly. How can we face our worst fears? “Don’t be afraid….just believe.” When all else fails, when there is nothing or no one else, believe in Him. You will not be disappointed. Copyright 1999 by Galen C. Dalrymple. TODAY’S PRAYER: Almighty Father, we are creatures of such doubting natures. We have faith in all the wrong things and we put our trust in things that are bound to fail us. Forgive us for our lack of faith in You and Your goodness. When we are afraid, may we run to the Rock that is higher than we are and there find reassurance and the power to believe in all Your promises. In Jesus’ name, Amen. It happened just this past Sunday. After church, one of the young ladies from our congregation sat down at the digital piano and tried to play something. Nothing happened. And so, she told someone, and an entire chain of events was set in motion. Several people simultaneously began to try to figure out why the digital piano wasn’t working. There is a skill to being a good troubleshooter and problem resolver. You start with the most obvious things first and check on those to be sure that no assumptions have been made about what is working and what isn’t. Such assumptions usually come back to haunt you later, so it pays to be meticulous! Consider how it works when it’s your TV. You turn it on and nothing happens. So, what’s the first assumption? The cord got disconnected. You don’t jump to the conclusion that the TV signals are no longer present in the cable, through the satellite or in the air surrounding the TV. You have faith that those things are still there and functioning. Sometimes, when we pray, it seems that our prayers “don’t work.” So what do we do? We stop. Rather than believing that God is still there, we begin to complain that He’s lost His power or that He no longer cares. Perhaps, instead of losing faith that God is there and that He does care, perhaps we should begin to search for the reason the prayer doesn’t seem to “work.” It could be that there is sin hidden in our heart that we’re not confessed and repented of. It could be that God wants us to learn more perseverance or patience in our prayers…and so He’s delaying His answer for a while. Or, He may be trying to teach us something new about prayer itself. The last thing that any of us would do when trying to fix a TV that’s on the blink would be to unplug it from the power. Yet, that’s what we often do with our prayer life – if we’re not getting the result we think we should – we unplug from God. And there’s one guaranteed result: if we’re unplugged from Him, prayer will never work. 1 Thess. 5:17-18 – Pray without ceasing. In every thing give thanks: for this is the will of God in Christ Jesus concerning you. 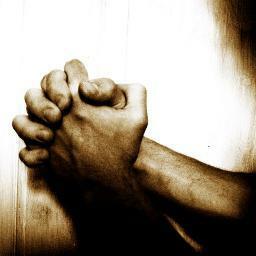 TODAY’S PRAYER: Lord, it is fairly easy for us down here to get discouraged with our praying. We are told to pray without ceasing, and sometimes we pray for years and it seems to do no good. So we get frustrated and start to doubt Your goodness. May we not lose sight of how good You truly are and how faithful You are to Your children! In Jesus’ name, Amen. It is interesting how many lessons we can learn from fairy tales. As Stasi and John Eldredge noted in Charming, the story of Cinderella “turns upon an invitation.” It was the invitation to attend the king’s ball that gets the whole story moving forward. Up until the invitation arrives, all we know of Cinderella is that she’s living with a wicked step-mother and is ill-treated by her two step-sisters. She slaves in the kitchen and cellar and it appears that things will always remain that way. She seems destined to a life in the cellar with her enemies always having the best over her. But then, an invitation arrives, an invitation that changes everything. 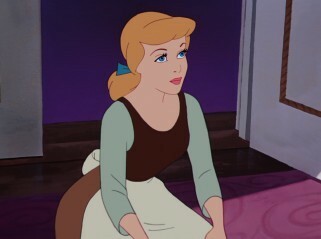 And when the invitation, something springs to live in the heart of Cinderella. She begins to dream of a beautiful ball gown, of dancing with the prince, and perhaps even of the prince falling in love with her and living happily ever after. She dares to dream that perhaps the prince will fall for her and love her! It isn’t by accident that the invitation arrives and grace begins to take root in the heart. God’s invitation has been issued to the one and only King’s Ball that will be held in heaven. Just as Cinderella didn’t have to “earn” the invitation, neither do we. It comes unwrapped and ready to be put to use. The invitation, however, must be accepted and opened. And so, Cinderella goes to the ball (you know the story!) and it is a dream come true. She captures the heart of the prince, but at the approach of midnight, she has to flee in haste to get out of the palace before the carriage turns back into a pumpkin. And where does Cinderella go? She flees back to the cellar. To the place she knows best and where she is comfortable. “It took courage not to abandon all hope even after she danced with the Prince.” The cellar. We all have a tendency to flee back to the cellar, even after we’ve danced with the Prince of Peace. We’re fearful that it’s just some magic spell that will burst when the clock strikes midnight. But the story does have a happy ending. The Prince isn’t content without her. So, he goes on a great search to find the one that he has lost. And find her, he does. And she never goes back to the cellar forever. And so, it seems, Jesus has done the exact same thing: he left the palace because he wasn’t content to be separated from us. It’s a beautiful story, but in our case, it’s even more beautiful because it’s no longer just a fairy tale. It is the impossible dream come true. Let’s not long for the cellar again when we can live in the house of Light! 2 Peter 2:22 – But it is happened unto them according to the true proverb: the dog is turned to his own vomit again; and the sow that was washed to her wallowing in the mire. TODAY’S PRAYER: Father, we have lived in our old ways for so long that it’s nearly impossible for us to believe that life will every be any better. It’s hard for us to believe, Lord, that you should truly care for us when we, in our flesh, are so unlike you. We know, deep inside of us, that we don’t belong in a heavenly mansion and that we will never be good enough to be granted entrance. And so we thank you for choosing to wash us in the blood of the Lamb, for dressing us in His righteousness and inviting us to spend eternity with You! In Jesus’ name, Amen.